Branding & Logo Design, Advertising Campaigns, Publication Design, Brochure and Newsletter Design, Business System Creation, Media-Buying and Direct Mail Campaigns. Custom Design and Development including Responsive, HTML, PHP, Domain & Hosting Services, eBroadcast Solutions, Social Marketing Design and Management. Full-Service Printing including Small and Large format, Vinyl Printing, Stationery, Company and Wayfinding Signage, Full-Color Banners and Contour-Cut Decals. Always left speechless by your designs! You take Murray tourism to a new level. Oh my goodness! Those are PERFECT! Thank you! You are the best! That's the Nicest Ad we've EVER had designed! Love it! It's like you can REALLY read my mind! That is exactly what I need! Looks great! No surprise there, though! You guys rock! Copyright © 2015 Helix Creative, LLC. All Rights Reserved. Marion, Kentucky is located in Crittenden County, and lies in the Northwestern part of the state. The rolling hills of Crittenden County are home to Kentucky's largest Amish Community with a population of over five hundred. 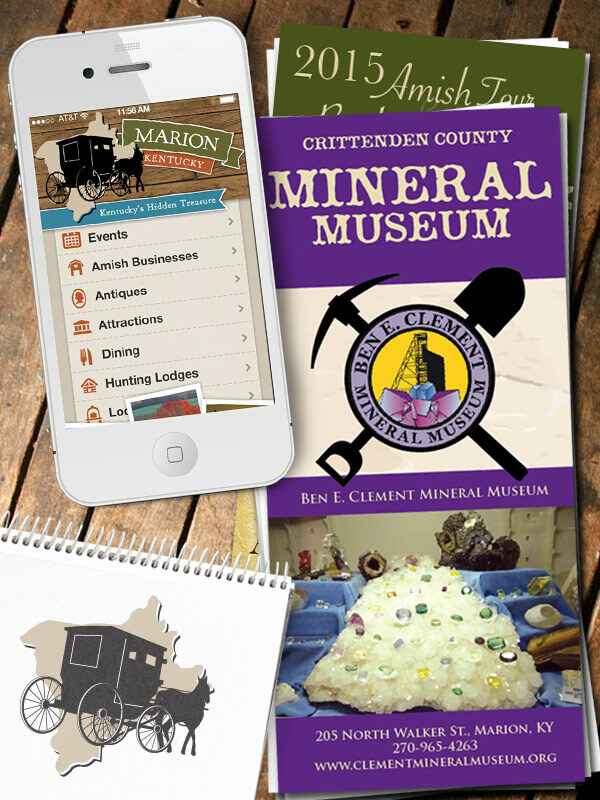 Marion Tourism strives to encourage tourism and attract visitors to the area by informing the general public, both in Marion and around the entire United States, of events, points of interest and area attractions. Helix has ALWAYS surpassed our expectations in every facet of our relationship over the past 7 years. We've never had so many comments on our website or our advertising until we began working with Helix. 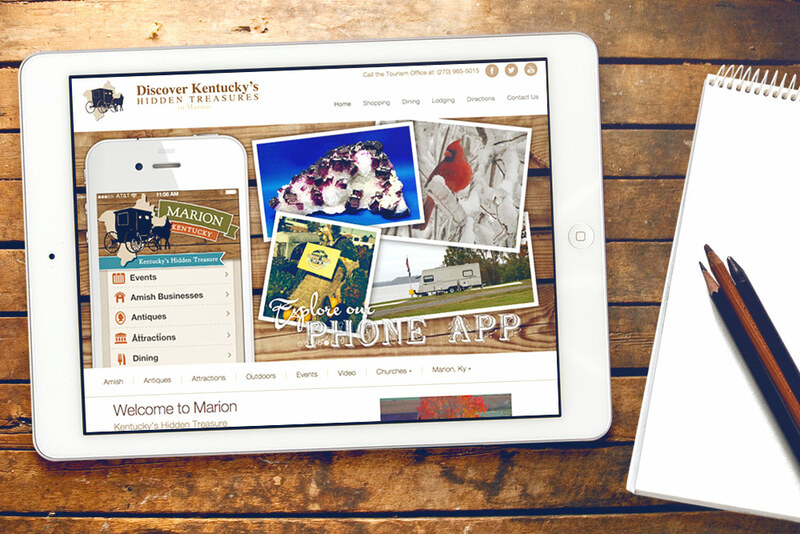 Through a multi-year relationship, Helix Creative helped Marion Tourism Commission develop and improve its Web and Mobile Presence through marketing, consulting, design, and development. Helix also plays a large role in the Marion Tourism's Facebook and Twitter Social Marketing Management. 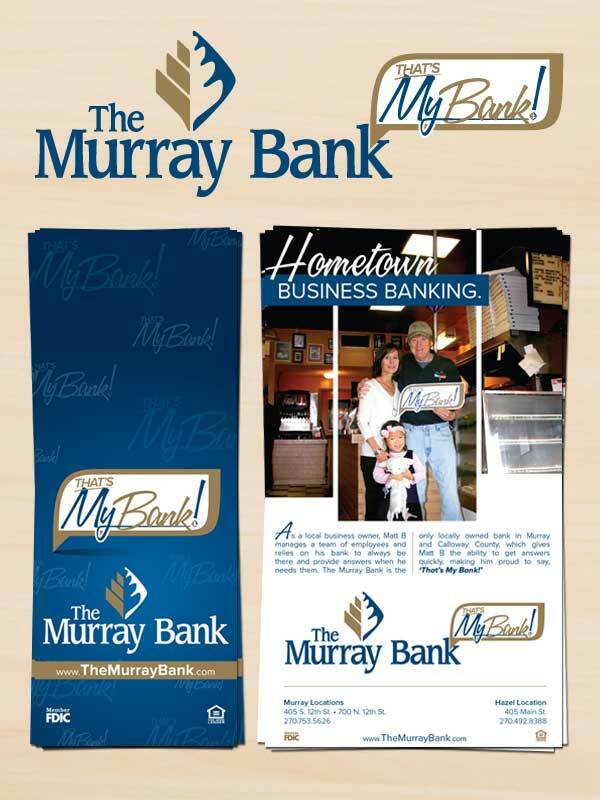 The Murray Bank is and has always been, independently owned and operated since opening in 1999. They currently have two locations in Murray, Ky and recently opened a branch in Hazel, Ky. Being voted the Favorite Bank in Calloway County 13 years running is proof that their employees enjoy their work and are dedicated to making sure each customer receives the best service available. The Murray Bank also remains dedicated to community service. They are proud that their employees take an active interest in the community through volunteering, fundraising, community service and membership. At The Murray Bank, they believe that's the way banking should be. 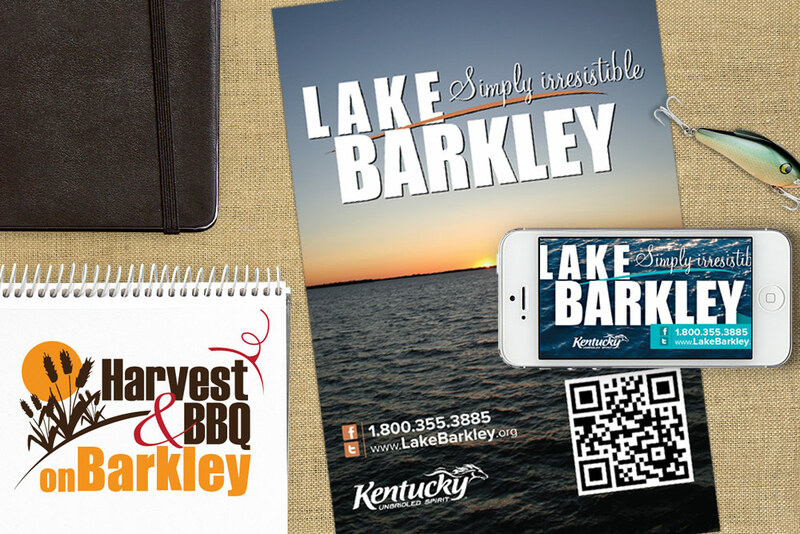 We are happy to have Helix Creative and their design knowledge, ideas and abilities right here in Murray, KY. The unique design that they continue to present us with is both attractive and highly adaptable. We appreciate Helix's attention to detail, and are equally pleased with how quickly they complete our projects. We continue to work with them as they bring our ideas to life with phenomenal graphic design. 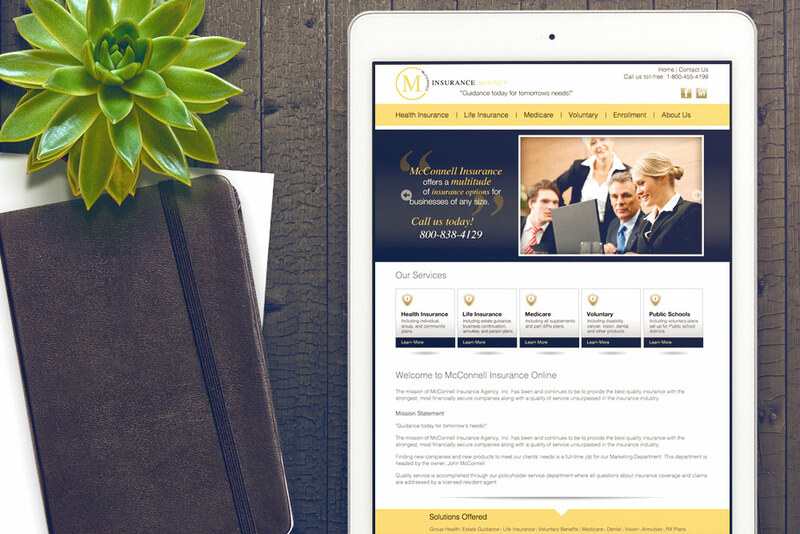 Helix Creative assisted The Murray Bank with a complete branding makeover and consoling for traditional and online advertising. 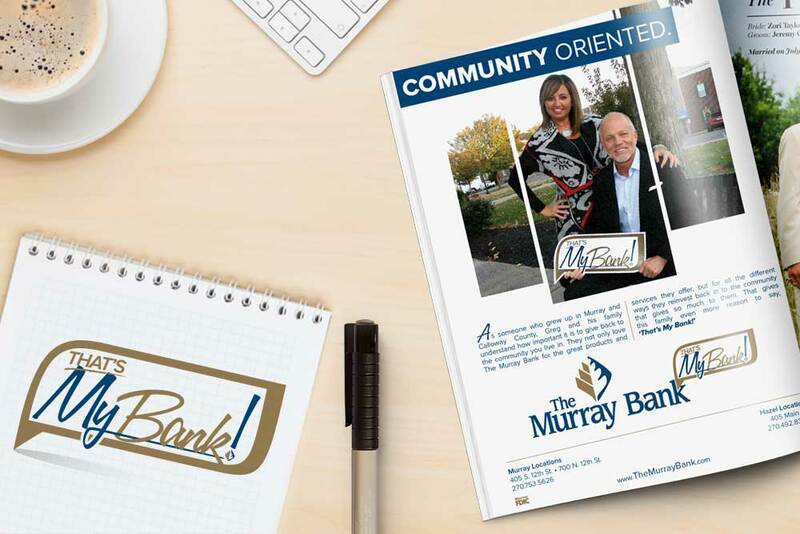 Helix also helped design The Murray Bank's Website Presence and creates graphics for their Social Marketing efforts on Facebook. 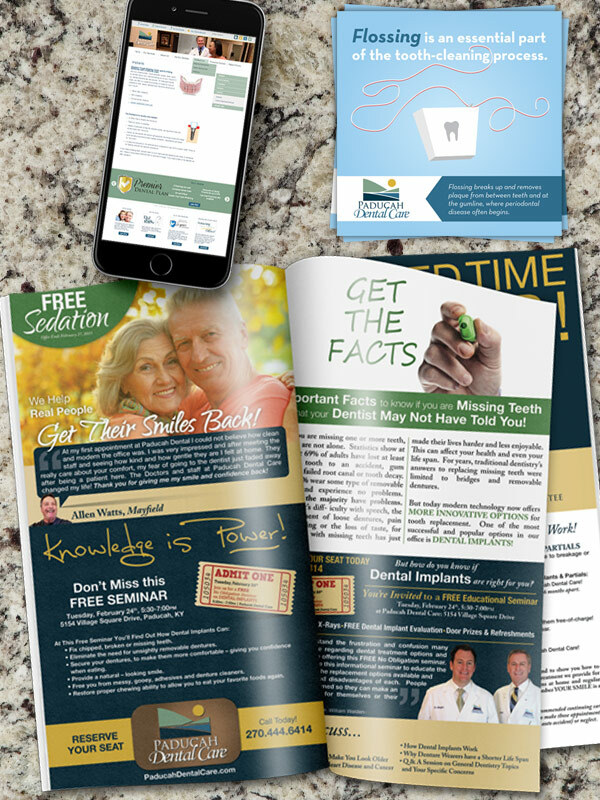 Paducah Dental, located in Paducah, Kentucky inside of McCracken County, promises you will find that you're the center of their attention when you're one of their patients. Their staff genuinely cares that you have a wonderful dental experience. They are committed to helping you feel good about smiling again! Drs. Walden and Mangino attend continuing education courses throughout the year, learning all of the new techniques to provide the finest, most modern care. Dr. William Walden loves people, dentistry and learning. He is a graduate of the University of Kentucky and the University of Louisville School Of Dentistry. Dr. Walden is a native of Paducah and has practiced dentistry in Paducah since 1983, combining his experience with hundreds of hours of continuing education to stay in the forefront of contemporary dentistry. 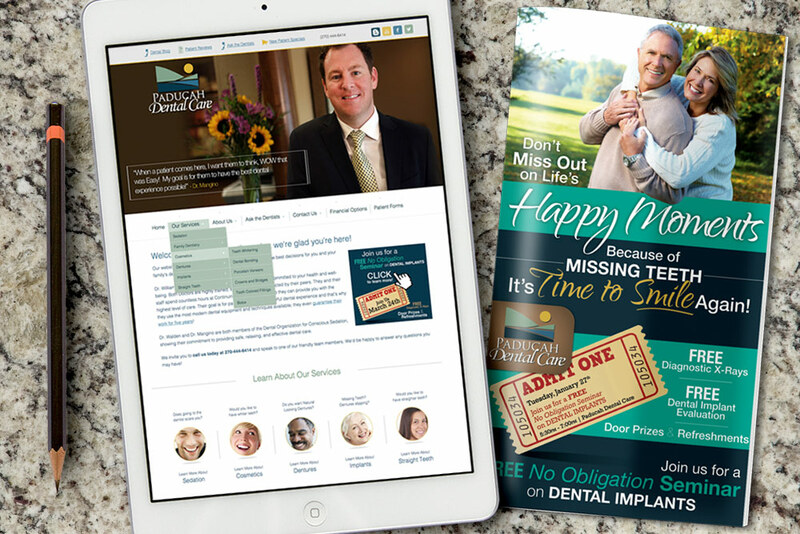 Helix Creative helped Paducah Dental Care develop and improve its Web and Search Engine Optimization Presence through consulting, design, and development. Helix also assists in Paducah Dental's Social Media efforts on Facebook and Twitter. Murray State University's campus is located in Western Kentucky in Calloway County. Both the city of Murray and the campus of Murray State are friendly and welcoming. Before you know it, you'll find yourself fitting in, making friends and getting involved in campus life. MSU has over 150 different student organizations and as a student at Murray State, you can choose from 118 majors, minors and options spanning fields from Advertising and Animal Science to Criminal Justice and Telecommunications. In addition, Murray State has a rich history and a variety of unique traditions. Whether you are participating in Great Beginnings, All Campus Sing, or hanging shoes on the Shoe Tree, you will become part of Murray State and Murray State will become a part of you. 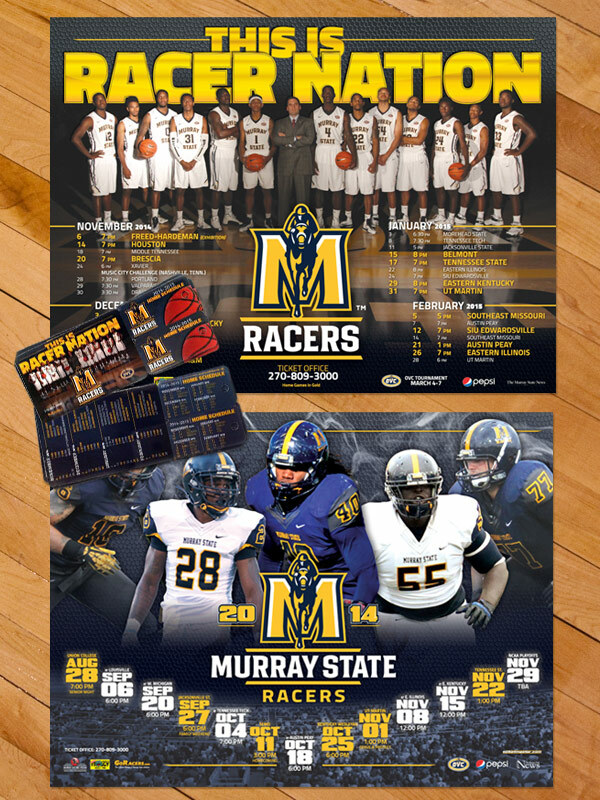 Helix Creative is a huge part of Racer Athletics. Justin Kimbro and his team are creative designers who take pride in connecting with their customers. Helix helps us tell the Racer story and get people excited about our programs and home events. From signage, website design, posters, digital graphics and special projects, we couldn't be happier with the work they do. And the best part is they are right here in Murray. 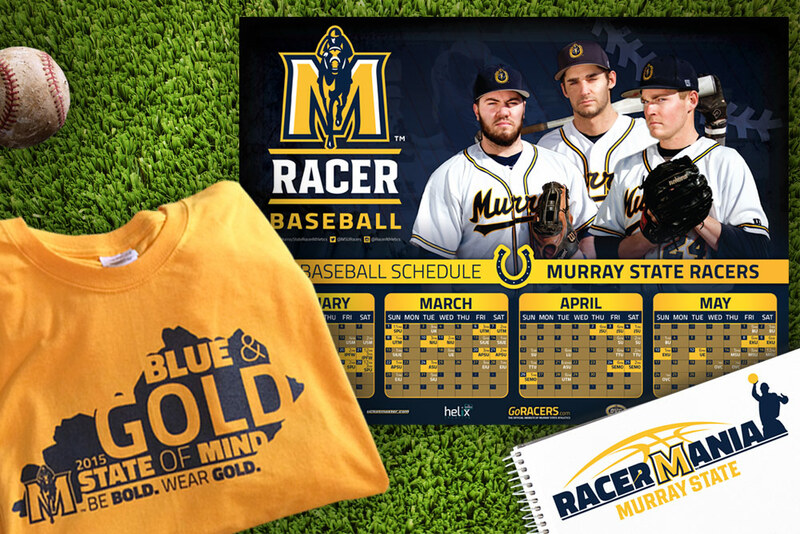 Helix Creative is the Official Design Firm for Murray State Racer Athletics. Helix assists MSU with their annual Sports Marketing Poster Designs for Basketball, Football, Baseball, Softball, Volleyball, Soccer and Spring Sports. Helix also assists MSU Athletics' Website Presence with supporting graphics. Primary Care Medical Center of Murray, Ky, was created in January 1994 by the merger of Clark Family Medical Center and Hughes Medical Offices. Before their merger, both practices had an excellent reputation of providing high-quality medical care to a large number of patients in Southwest Kentucky and Northwest Tennessee. Primary Care Medical Center has continued to grow and provide new services to the people of the entire region. In 2000, they were one of the first and only primary care offices to go to seven days a week service plus nights. They also were one of the first practices to go to fully digital medical records. 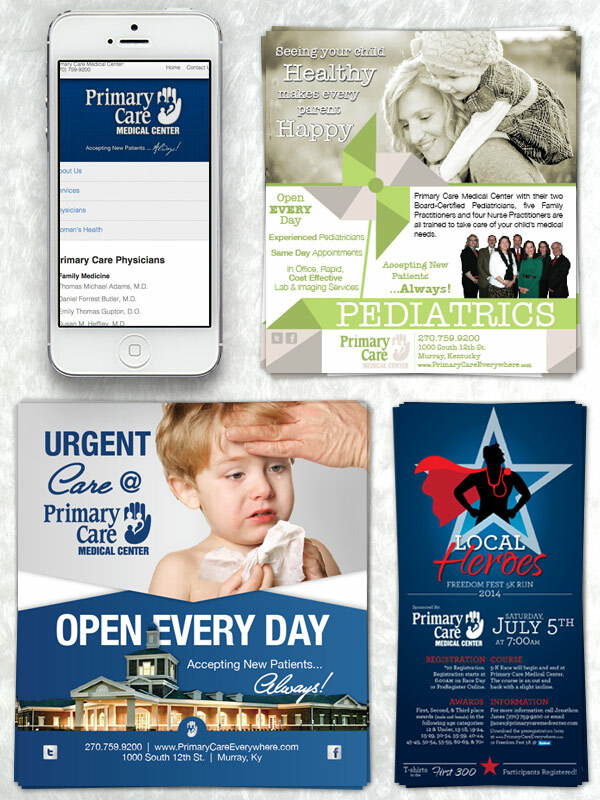 Helix Creative's relationship with Primary Care extends to nearly a decade of design and developemnt. 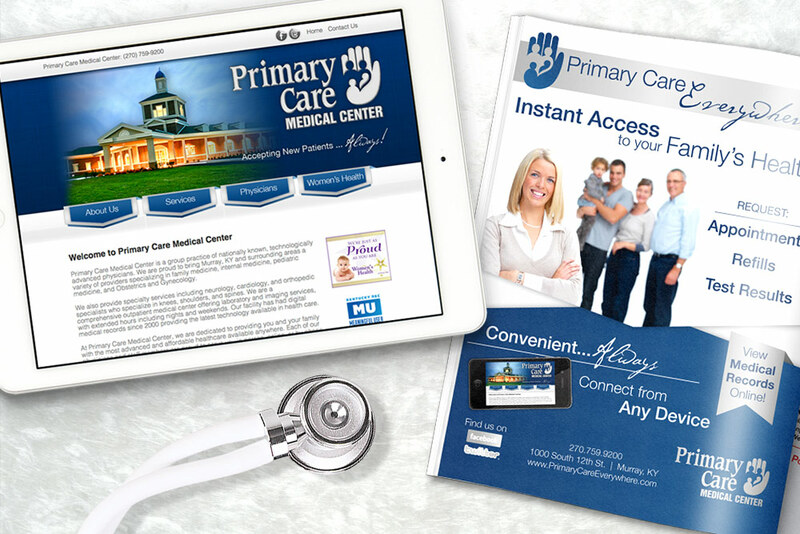 Helix helped Primary Care improve its Web, Mobile and Search Engine Optimization Presence through consulting, online marketing, PPC (Pay-Per-Click) campaigns, design, and development. Primary Care's website also offers a Content Management System which allows them to edit their own content, Helix also assists PCMC with their Social Media efforts on Facebook and Twitter. The Bride-to-Be Book was created in a room full of people who love the idea of love. Whether it be the love of a couple through thick and thin, the undying love of parents or the love of friendships built over the years. There's always something magical about love, maybe it's because it's the closest feeling to real magic we will ever know this day and age. Fashion trends change, hair and makeup styles will grow and die, but love will continue to run through our veins until the end. This room full of people also believe that a small town like Murray, with its traditions and southern charm, deserve a bridal magazine just for the brides that consider this town their home. Helix Creative laid out and designed one of the most amazing publications I've ever seen! Their attention to detail and photography acquisition is what sets them apart from other designers we've worked with. 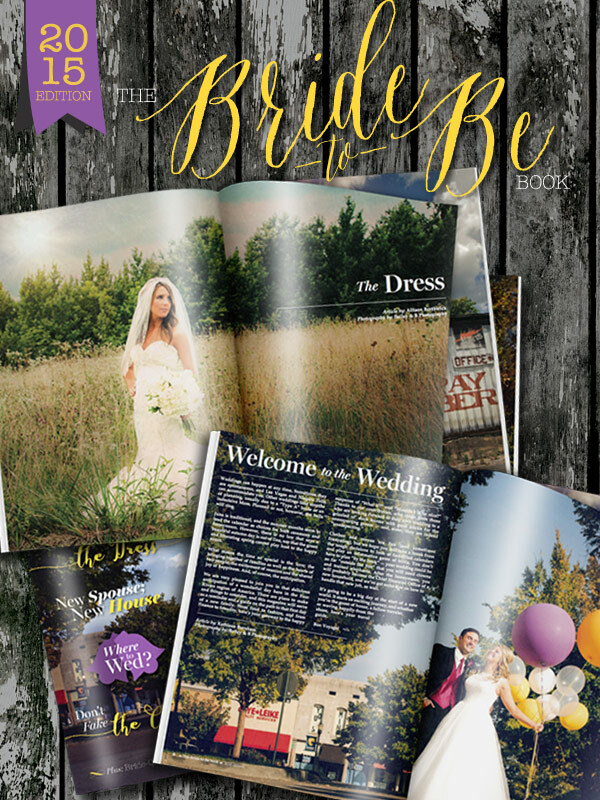 Helix Creative laid out and designed the 2015 Bride-to-Be Book; a 48-page annual publication targeted at upcoming weddings and soon-to-be married couples. 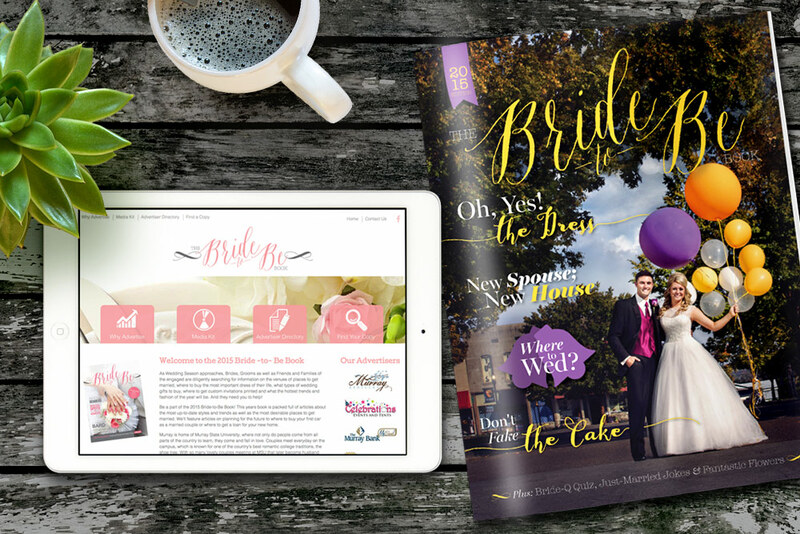 Helix also helped the publishers of The Bride-to-Be Book develop their Web Presence through marketing, design, and development and also created graphics for their Facebook. McConnell Insurance Agency, Inc., has been providing life and health insurance throughout Kentucky and Tennessee for over 40 years. Founded by Jerry McConnell in 1965, McConnell Insurance was built on providing prompt, quality service and continues with that same tradition today. For the past 10 years, they have broadened our business to include agents throughout the state with a knowledgeable support staff to make sure everyone continues to receive prompt service. Since they offer exclusively life and health insurance, they are better able to stay up to date on changes as they affect our customers and address those needs effectively and immediately. 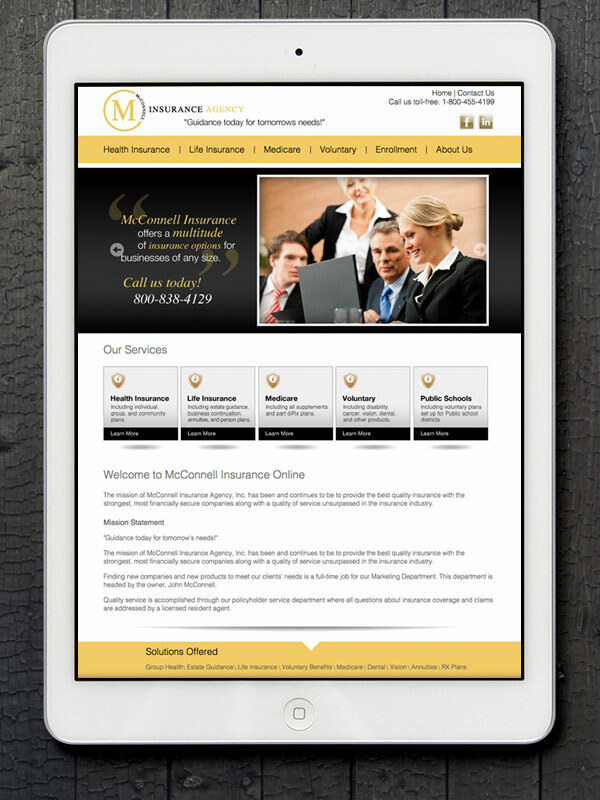 Helix Creative helped develop and improve McConnell Insurance Agency's Web and Search Engine Optimization Presence through consulting, design, and development. 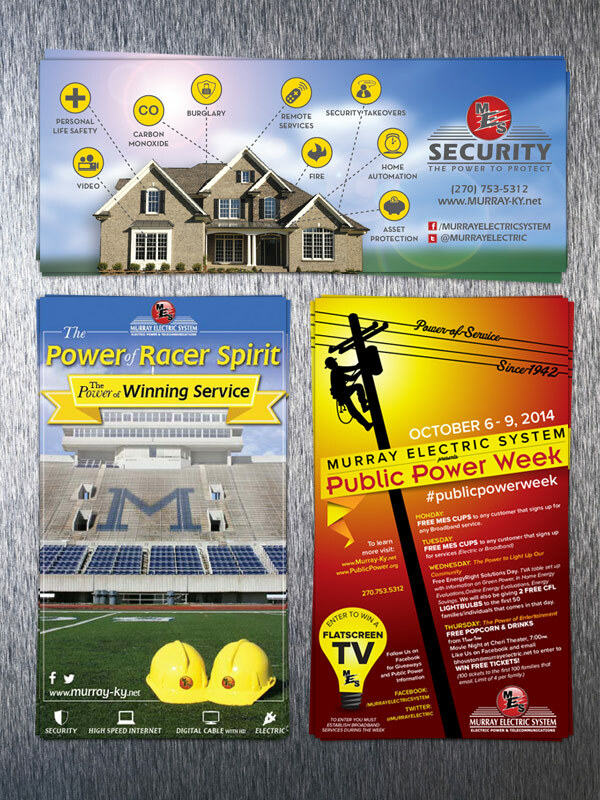 Murray Electric System: Electric Power & Telecommunications's Mission Statement states; We will serve our customers with competitively priced, reliable electric and telecommunications service. We will provide additional services that allow customers to enjoy the full benefits of municipal ownership. Murray Electric System has been and will continue to be proactive in system planning, improvements, and implementing new customer service improvements and collaborating with our partner TVA in meeting the demands of an ever changing and fast-growing community. We have been so impressed on so many levels, with the work and design ability of Helix Creative. As a company we were looking for graphic design that would fully encompass our vision and brand while bringing in creative elements and we found that with Helix. It has been great to work with Justin, Amanda and the Helix team, who are immediately able to produce on paper what we have envisioned in our mind. They are open minded to our ideas, responsive with feedback and always willing to go above and beyond creatively to produce design work that fully grasps who we are and where we are going. Our marketing projects wouldn't be the same without a little Helix twist! 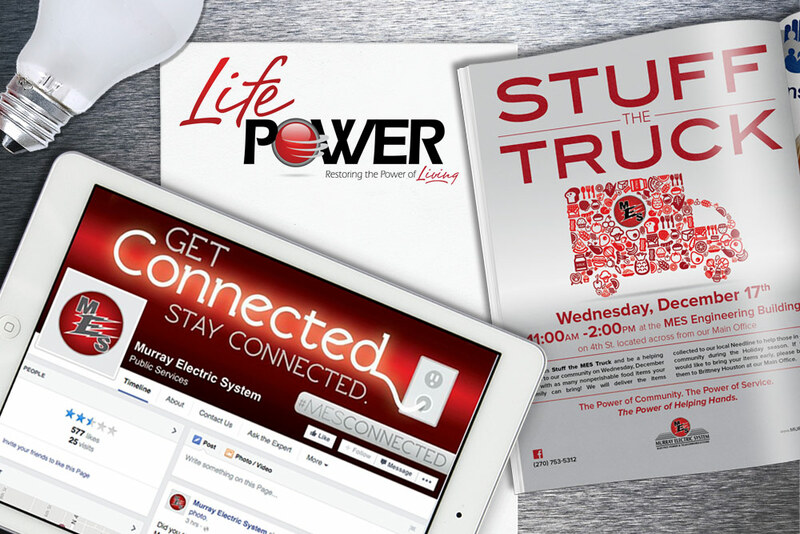 Helix Creative helped develop and improve their Web and Search Engine Optimization Presence through consulting, design, and development and also designs many of Murray Electric System's Facebook Graphics. 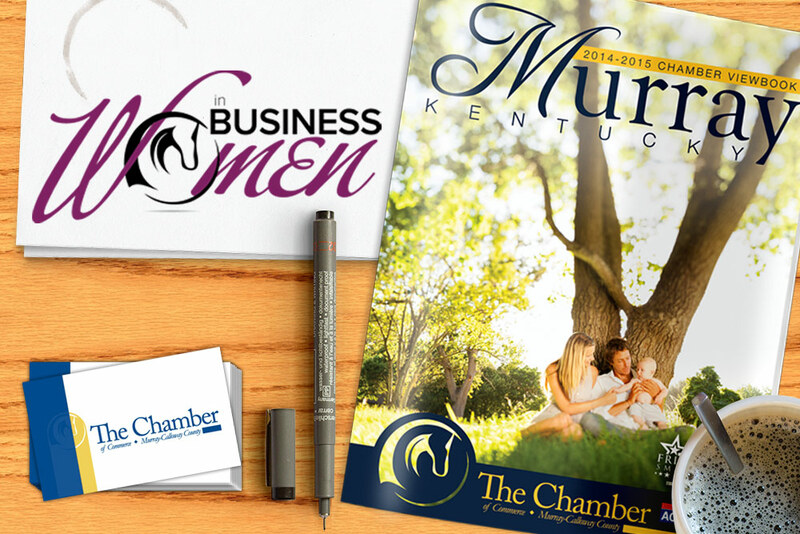 The Murray-Calloway County Chamber of Commerce is committed to advance the economic prosperity of the area by partnering with its members to provide representation, increase job opportunities, encourage community pride and improve the quality of life. 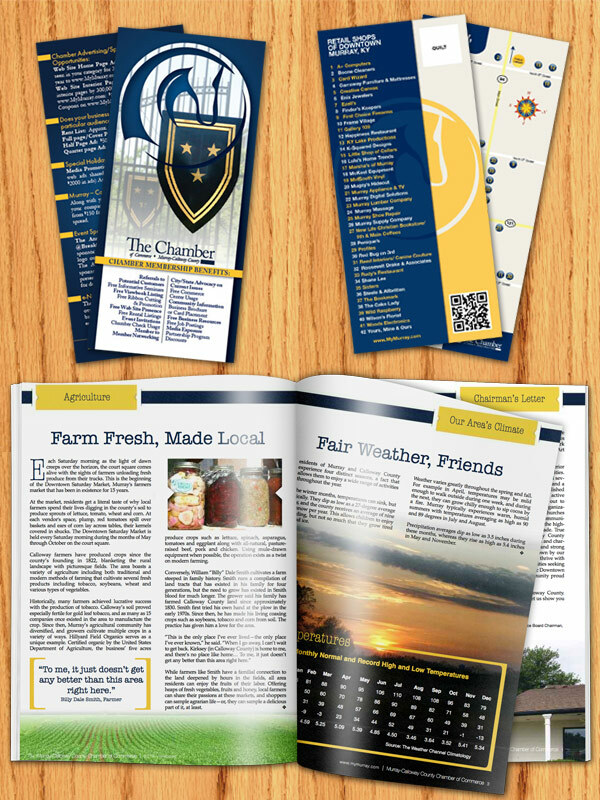 The Chamber produces an annual Viewbook and Relocation Guide, which contains catagories of all its chamber members. In addition, they also publish a city and county map, with advertising available to members only. New members are listed in their weekly enewsletter distributed to over 690 members, top management, government and community leaders. 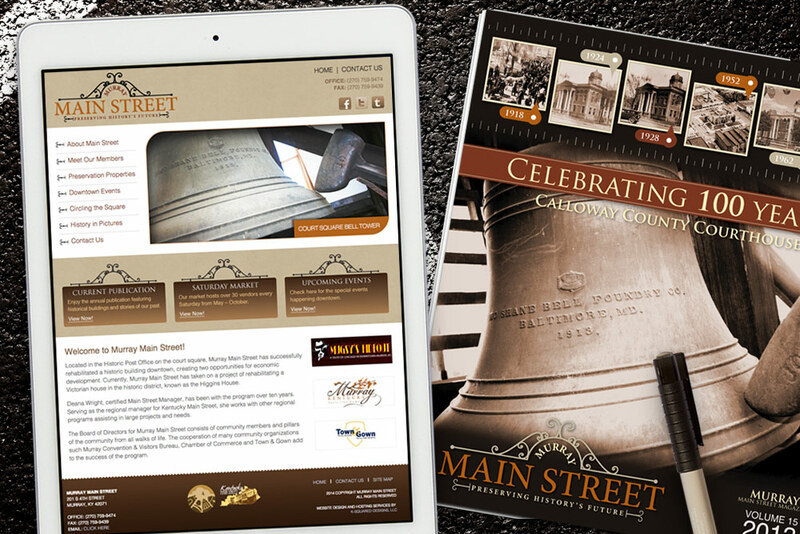 Helix Creative is the Creative Director the The Murray-Calloway County Chamber of Commerce's annual Viewbook, creates designs for the annual Chamber Celebration Event and helped develop graphics to improve their Web Presence. Since the inception of Murray Main Street in 1998, over 12.5 million dollars has been invested into historic downtown. Over the years, 186 new jobs were created with over 2.6 million dollars of private money being invested. In the historic district, more than 1,600 people are employed. Facade improvement programs have totaled over 1.3 million. As directed by the National Trust for Historic Preservation and the Kentucky Main Street program, Murray Main Street must follow the NTHP National Main Street four-point approach: Organization, Economic Restructuring, Promotion and Design. Helix Creative is a great company to work with on projects of all levels. From beginning to end, they bring excitement for the work and they produce quality results. 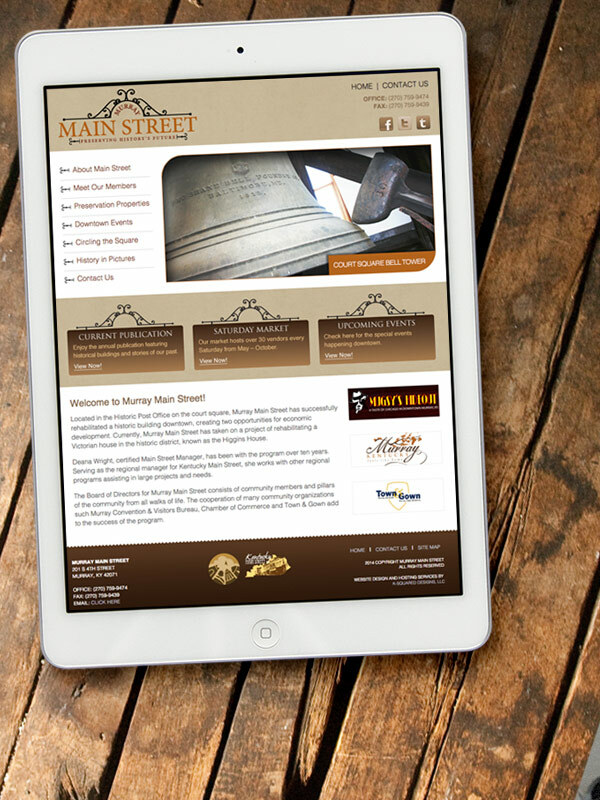 Helix Creative constructed the Murray Main Street logo, designs the annual Member Publication, helped develop and improve their Web and Search Engine Optimization Presence through marketing, design and development. The Lake Barkley region, located in Western Kentucky, offers a variety of attractions and activities for the whole family. Whether you are seeking to catch a monster bass or crappie, or just wanting to relax and leave the office back at home, this is the spot! Besides all the water activities, the Lake Barkley area offers biking, hiking, hunting and an abundance of scenic by-ways. There are many interesting attractions for the whole family to enjoy. There are plenty of antique shops, historical attractions, museums and shopping and a fantastic water park. Helix Creative Studio has been our only choice when we are in need of publishing, brochures, design and printing, for the past several years. They continue to amaze us with the quality and the delivery of our requests. Their knowledge, experience and dedication to graphic design and service is unmatched. 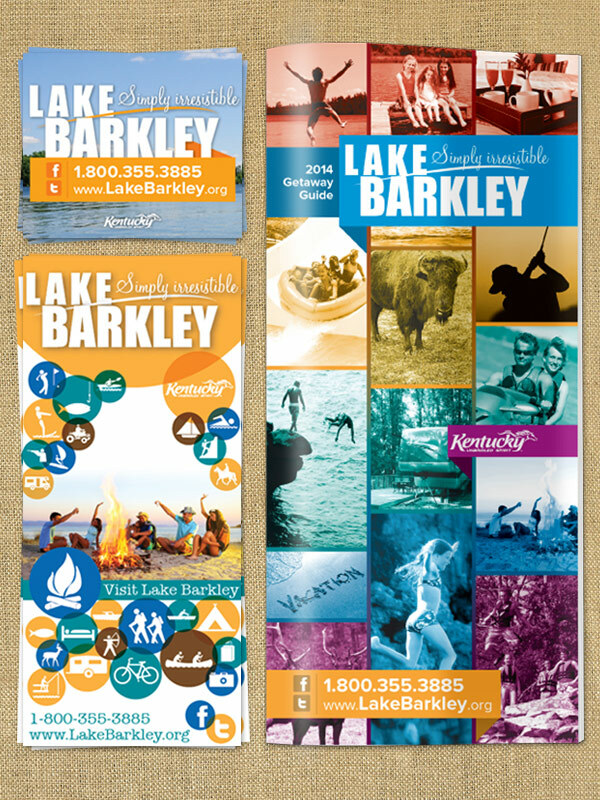 Helix Creative assists Lake Barkley Tourism with its annual Visitors' Guide, helped develop graphics to improve their Web Presence through design and development and also designs many of Lake Barkley Tourism's print ads in newspapres and magazines. Servall has been serving several communities, with 8 locations, in the Northwest Tennessee and Western Kentucky areas since 1963. Servall Pest Control does so much more than just kill bugs, Servall Termite and Pest Control Company also provides services such as Seamless Gutters, Duct Cleaning, Home Repair, Insulation, Foundation Vents and much more. 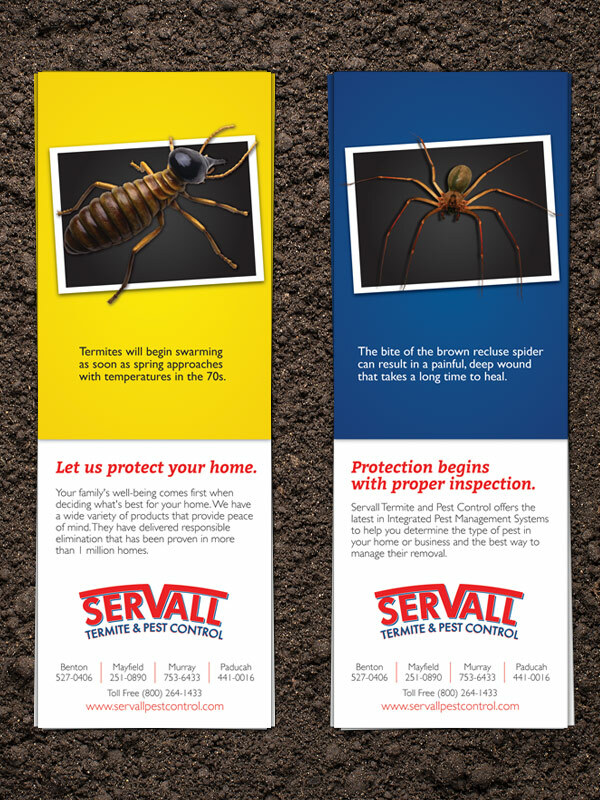 Servall's company motto simply states that Servall is the only pest control company you will ever need. Whatever the need, Servall can handle it, and they guarantee their work absolutely with our 100% unconditional guarantee. 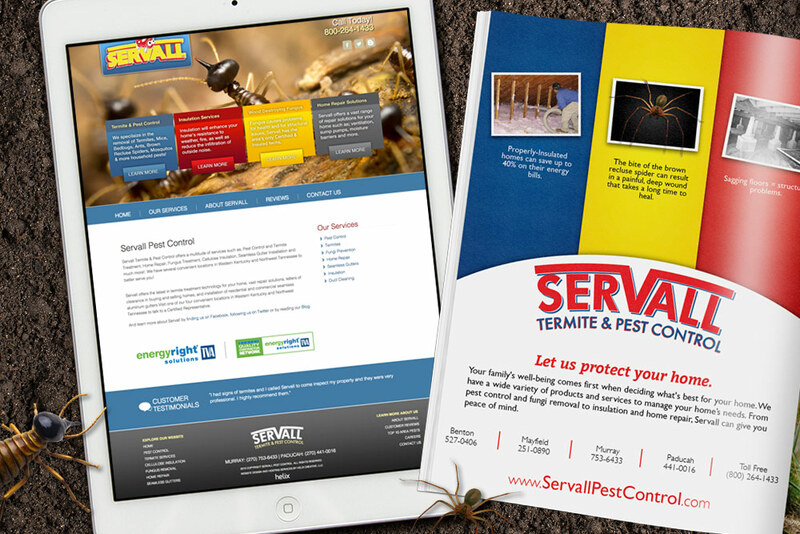 Helix Creative worked with Servall Termite and Pest Control develop and improve its Web and Search Engine Optimization Presence through marketing, design, and development. Helix also assists in Servall Pest Control's Social Media efforts on Facebook and Twitter.